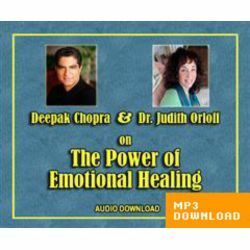 The meaning of emotional healing. How you can achieve it. 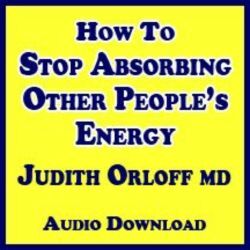 How you can be aware of energy vampires and draining people. How spirituality is essential to emotional health. 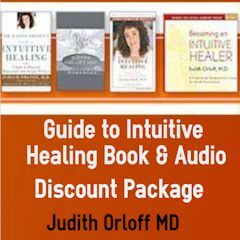 Deepak and Judith also discuss the newest strides in intuitive medicine and the potent tools of energy work. 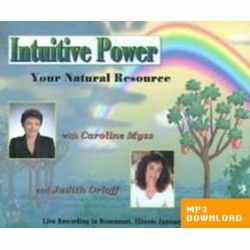 Have fun listening to Judith interpret one of Deepak’s recent night-dreams that he shares with her. Deepak concludes this program with a series of beautiful affirmations to quiet your mind and empower your life. 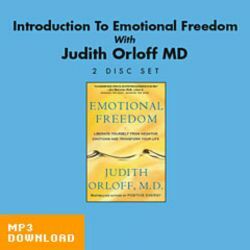 Emotional healing is essential for us to feel the freedom we all deserve. Learning to identify our triggers will help us clear out old traumas and resentments so we can be clearer and more loving people. 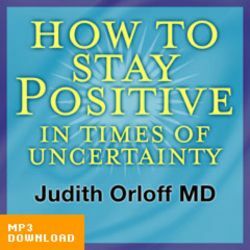 Dr. Orloff believes that emotional healing is an essential part of spiritual healing and is a way to find balance in our mind-body-and spirit.